Rumor: WB Looking to Make Live-Action Batman TV Show? Take this with a massive grain of salt, as it comes from one of the most poorly written articles I've ever read: Comic Book Movie is claiming that Warner Bros. is hoping to move the Caped Crusader to the small screen after Chris Nolan has finished with The Dark Knight Rises in 2012. But the most interesting part? 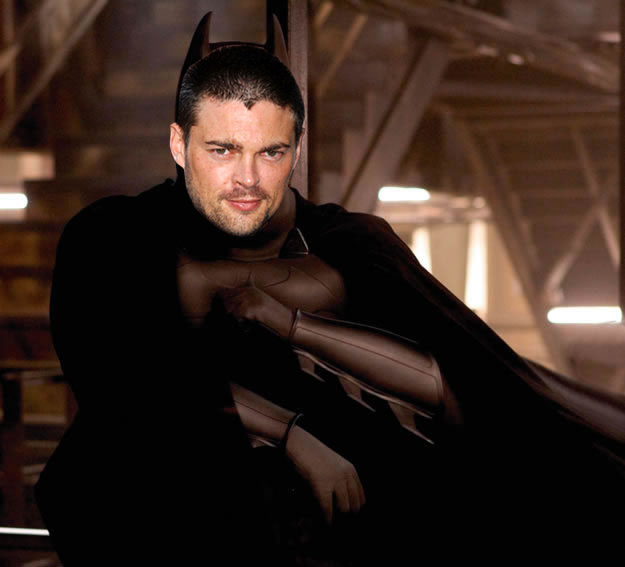 The studio apparently has their collective eye on Karl Urban to play Batman in the series. There's also talk of The Joker making a return in the series. The concept makes a lot of sense, considering how well "Smallville" has done for The CW in its (surprisingly long) 10-year run. For those who haven't followed "Smallville's" later seasons, the show has introduced many other characters from the DC Universe besides Superman, including Green Arrow, Aquaman, Cyborg, and Impulse (a young version of The Flash). There have also been team-ups with Golden Age heroes like Hawkman and Dr. Fate, so it stands to reason - especially with plans for a Justice League film currently on hold at DC Entertainment - that parent company WB would want to continue that success on TV for the foreseeable future. As for Urban, while the fanboy in me got excited at the prospect of seeing him don the cape and cowl for a second, I've since settled down and realized this is a terrible idea for the up-and-coming actor. He's involved in a huge franchise in Star Trek and another potentially large one with the new Judge Dredd film (now officially titled simply Dredd), and he consistently elevates material (like Red, for example) to a great degree. I'm hoping the guy gets his chance to be a legitimate leading man; he doesn't deserve to be relegated to working on the CW for the next five years. Again, if you actually read the article over at Comic Book Movie, it sounds like this entire story is complete garbage. But half the fun of writing about movies is in the speculation: so what do you think about another live-action Batman TV series, and what do you think of Karl Urban as the Caped Crusader? Will Three New Live Action STAR WARS TV Series Head to Netflix?